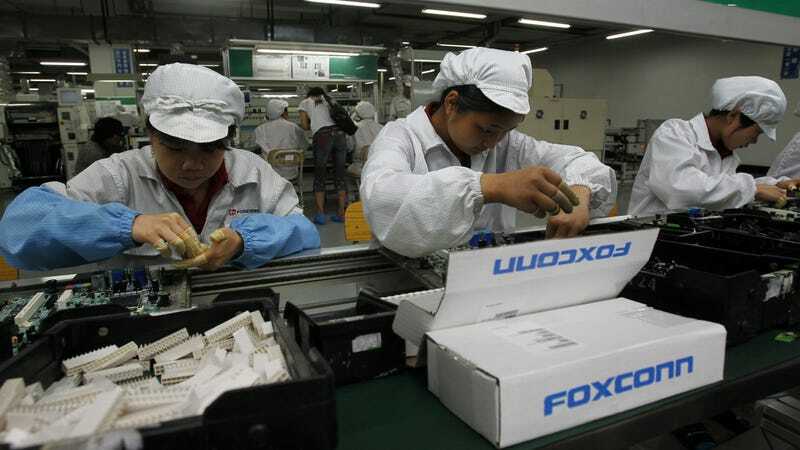 Hon Hai Precision Industry, more commonly known as Foxconn, came into the public consciousness earlier this decade when a salvo of exposés described the degrading and often dangerous conditions its poorly-paid workers endured to build expensive trinkets like the iPhone. Today, the Financial Times reports that illegal labor practices persist. Six students, ages 17 to 19, claimed they’d regularly worked 11-hour days at a Foxconn-run factory as part of workweeks over 40 hours, violating Chinese labor laws concerning overtime for student interns. Both Apple and Foxconn confirmed to the Financial Times that students worked overtime. These six claimed to be part of a group of 3,000 student workers assembling parts for the brand new, $1000 iPhone X. The students were reportedly sent to Foxconn by the Zhengzhou Urban Rail Transit School as part of a mandatory, three-month “work experience” program. The relevance to future employment in the rail transit industry is unclear. Ms Yang, a student who complained of being forced into work that “has nothing to do with our studies,” said she has been assembling iPhone X cameras, up to 1,200 every day. While illegal overtime may be a far cry from installing suicide nets on buildings to keep overworked assemblers from ending their lives on the job, Foxconn remains one of the largest employers in the world, and, in this instance, acting on behalf of one of the richest technology companies. It seems unlikely either will experience lasting repercussions of any kind. We’ve reached out to Apple and Foxconn for comment and will update this story when we hear back. Foxconn Is Installing Safety Nets on Buildings?